I always pick up a few postcards when I travel. The pictures are usually better than I can take and it’s a cheap, easy way to get a souvenir. 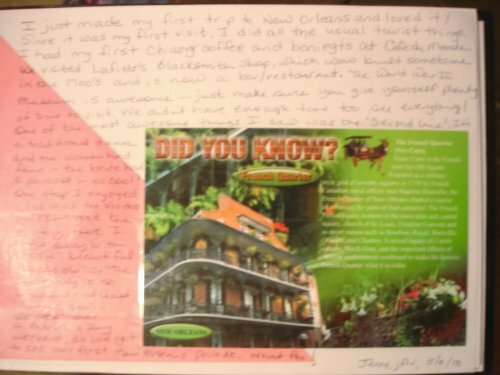 Take a page, put a travel postcard on it and tell us about your trip. Make us want to visit! Use any medium you’d like – just don’t alter the entries of others. 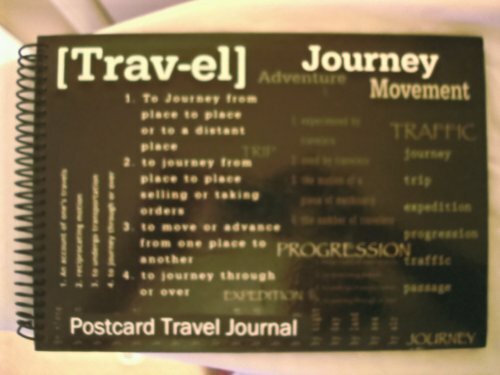 The journal isn’t large, so limit your entry to one page, please! When the journal is full, please return to jfit, Jenny Stafford. 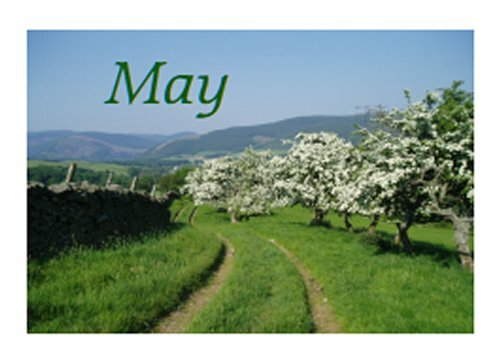 May – the darling buds of May. May is the fifth of a set of journals I am creating to celebrate the months of the year. These will be released month by month. We all do it – quote those lines we remember from movies we enjoy. I find myself doing that all the time. What’s your favorite line or quote? Tell us the line and the movie that it comes from. Use any medium you’d like, just don’t alter the work of others. When the journal is full, please return to Jenny Stafford, jfit. Please note this is not the same journal as Favourite Movie lines, which has since been created on the same theme.